Solid Foundations. Since its founding more than 60 years ago, Haigh, Byrd & Lambert, LLP has maintained a focus and concentration in building business and personal relationships in Cumberland County and the surrounding areas. 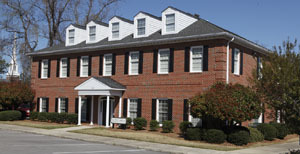 We are proud that our own succession planning has enabled our practice to maintain its longstanding firm name and reputation in the Sandhills area for all or part of eight decades. Our goal is to help you maintain a solid foundation in order to make calculated financial decisions to further you and your business objectives. Be Remembered. We have built our practice around relationships. As you and your business enter critical financial decision making processes, we want you to remember to include us. We expect to be your accountant. We strive to be your business partner. To maintain Solid Foundations you must respect the past and Be Remembered in the future.